In the long-running adventurous Clone Saga part, many of them were confused about the real Real Peter Parker. But in “The Night Of the Goblin” which appeared in Spiderman#75 truth was revealed. Goblin admits that he has been manipulating Peter by telling that Ben is a clone. When Spidey and Goblin has a face-off, Osborn captivates over him. Ben tries to help Peter but couldn’t and eventually gets hit by the spear and that lead to a trajectory death! This Blast Of Energy not only killed Spider-man but many Marvel Super-heroes! In Marvel Superheroes Secret Wars#11, Dr. Doom steals the power from The Beyonder and uses the marvelous power to sabotage The Avengers, The X-men, The Fantastic Four, Hulk and both the Spider-Man. The comic series was suprising for the fans as it was an unexpected end! Many of them are not familiar with the Owl, he’s primitively like a Vulture but with a disgusting Suit. He is poisoned by the Owl. And you won’t believe who is the savior. Here, he is Otto Octavius. He gives some antidotes which make Spidey visit afterlife to see his uncle Ben and again slumped back to reality! Dies in the Arms Of Mary Jane! We know that Morlun and Spider-Man always have a tough fight! Well, the things between Morlun and Spidey doesn’t go well and Spider-man gets beaten until he is not recognized! He is then rushed to Hospital and Morlun is there in no time to complete the incomplete job! 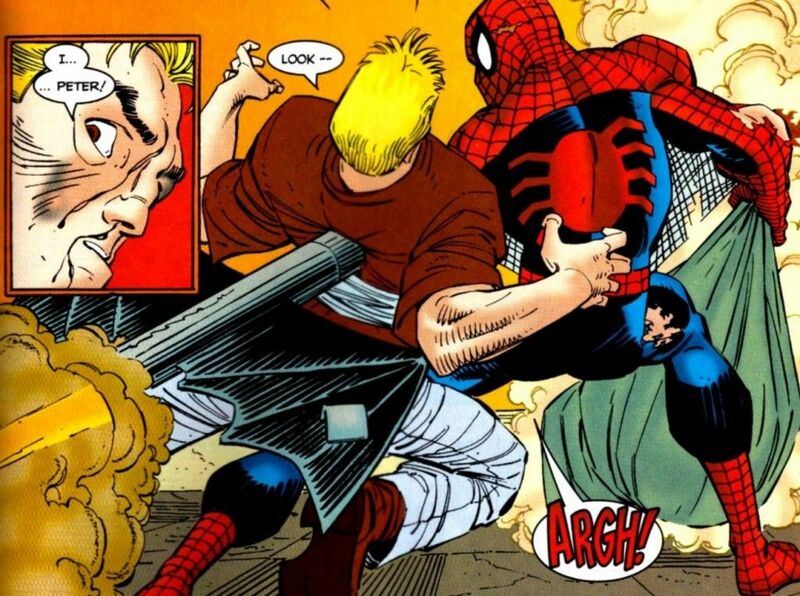 But Peter rips his throat out and kills Morlun. And after some moment of time, he dies! Put on the deathbed by a Wizard! In the issue of Un-Canny X-men#191, mutants took over the Manhattan and turn everything into Dark-Age! Mutants take over Kulan Gath, but Spider-man remains unaffected. But Gath has to amplify his spell to cover the whole world and that’s only possible by the death of Spider-man! Spidey is crucified and finally slumped on death-bed! But Doctor Strange comes into the picture and teams up with Illyana Rasputin to reverse the time flow and save Spider-man! Turns into dust by Thanos! How can somebody forget the death of Spider-Man into Infinity War by Thanos? You can’t forget the emotional moment between Spidey and Iron-man. Well, so it is only seven times, right? But in this article, the major kills are included. If you want to know the other here they are: Mutates Into A Giant Spider, Dies in a hospital, killed by Green Goblin, By Chemical Explosion, transferred into Dr. Otto Octavius, Get Shot by Villains, And Buried By Kraven. So, the final number is 15!